I have been planning to buy thing like this for mom and today I bought it! Wow, so much shopping for the past two days huh, Izzati? 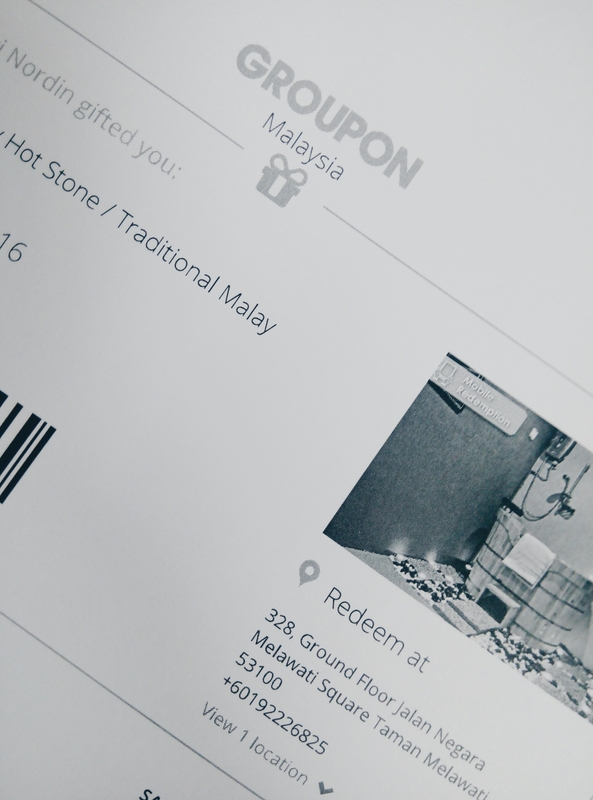 I just purchased 3 hour massage package for my mom at only RM38. Normal price is supposed to be hundreds. I googled for Groupon packages and I found this one. Just near my home and 3 hour package. Includes foot reflexology. Why not? What do you think about mom’s reaction? We have to wait for that one because, funny story it is, this gift is for her birthday next year on February, 1st. Hahahahaha. Too early huh? Good things can’t wait.